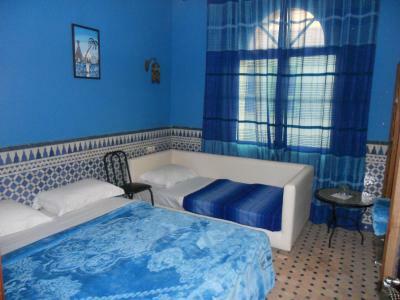 Lock in a great price for Riad Passiflora – rated 8.7 by recent guests! Staff was amazing and extremely helpful, went out of their way to make sure we had everything we needed!! 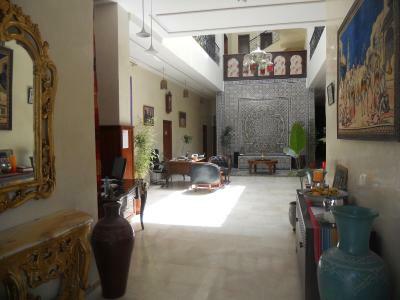 Beautiful Riad, right off of highway which was convenient for us. 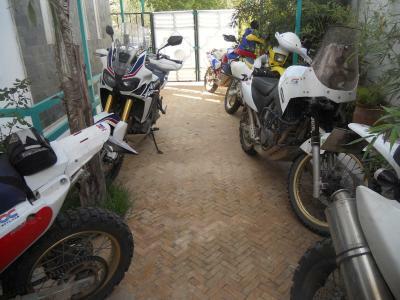 Highly recommend, short drive or can ride to médina and other attractions. Very good 3 star hotel. They offer dinner for 125 Dh, and it was an excellent meal! One of the best Moroccan meals I had. The beds are hard, but that is just the style over there. Still very comfortable. 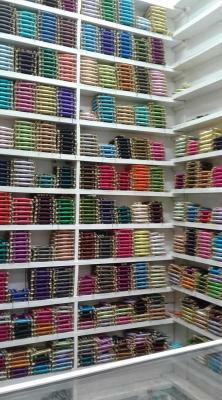 The staff do not speak much English, just the owner, but they always offered friendly smiles and were very courteous. The staff was very hospitable and professional. It was a beautiful place. It was very comfortable and welcoming for every member of our family. 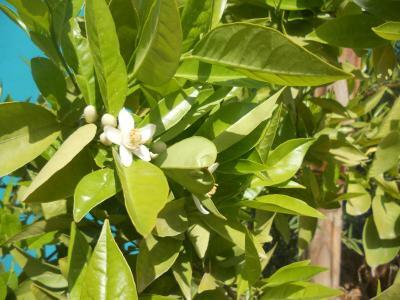 Our boys loved the experience of picking an orange right from the tree. They also really loved that everyone got to have their own bed. Amazing friendly staff. Because decor, good food. The owner was very friendly and very helpful. Don’t hesitate to book here. Loved this place. Rachid is such a great host. Very helpful with arranging tours and taxis. 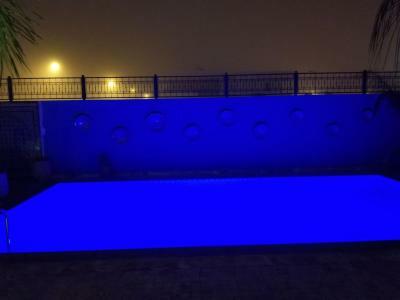 The kids loved the pool. We would definitely stay here again. 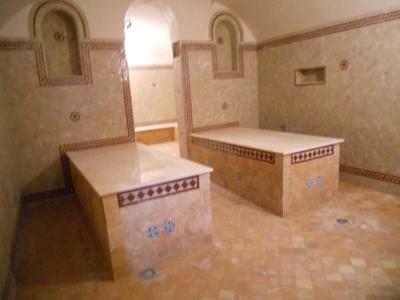 The main floor and pool area had the most beautiful mosaics. 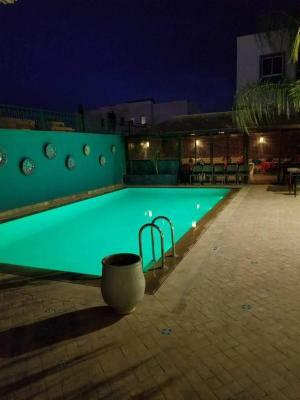 The staff was incredibly friendly and we loved our evening spent poolside having a bbq and getting to know the other guests from around the world. 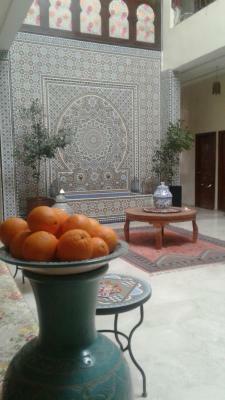 Had a great stay at Riad Passiflora. We had a very early flight and they made us breakfast at 4am in addition to organizing a taxi. 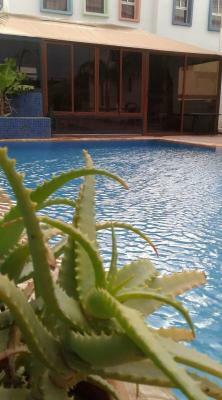 It is the perfect place to stay if you have an early flight or need to be close the airport. Continental breakfast: simple, but good. Location is good to go to university. 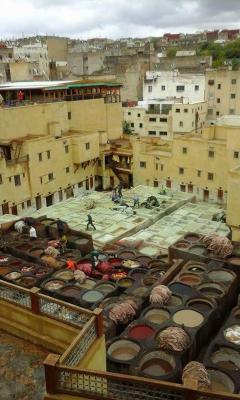 A bit far away from the Medina. Very nice and friendly staff. You can order dinner to eat directly at the hotel or prepare or reheat food in the kitchen. There is a large store (not far form the hotel) where you cat buy products and food (supermarket). 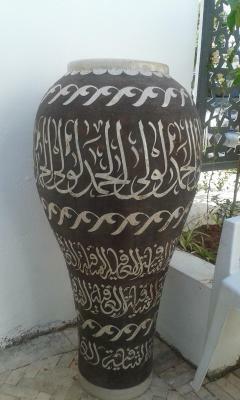 One of our best sellers in Fez! 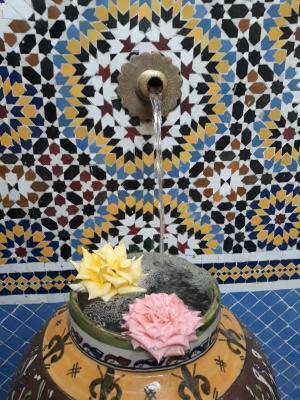 Located in Fez, 4.3 miles from Royal Palace Fes and 3.2 miles from Nouvelle Ville, Riad Passiflora provides a restaurant. Free WiFi is provided. 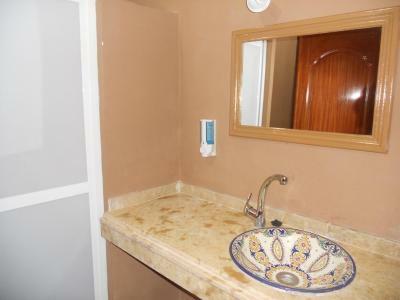 All units include a fully equipped kitchen, allowing guests to prepare their own meals. 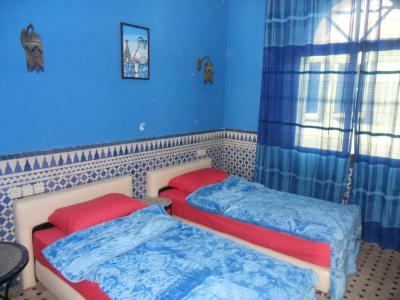 Some accommodations include a balcony and a satellite flat-screen TV, as well as air conditioning. 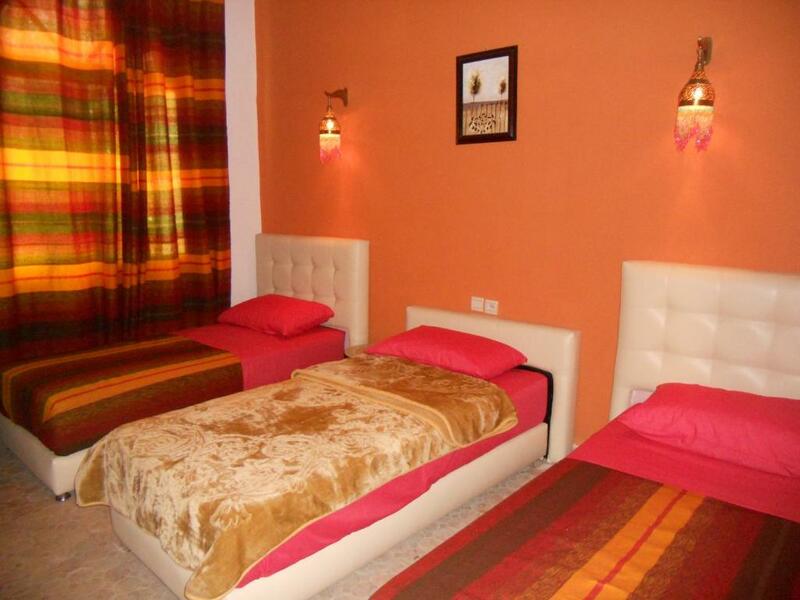 Guests at the bed and breakfast can enjoy a continental or a halal breakfast. 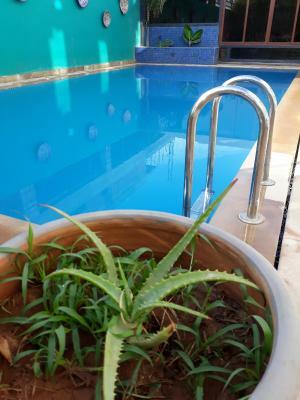 Riad Passiflora has an outdoor pool. 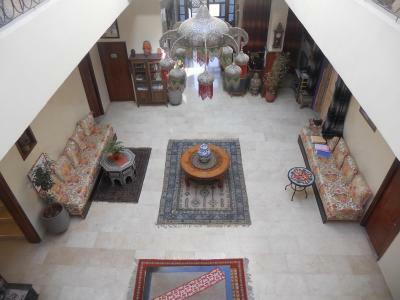 C.C.I.S Fes is 3.3 miles from the accommodation, while Borj Fez Mall is 3.7 miles from the property. 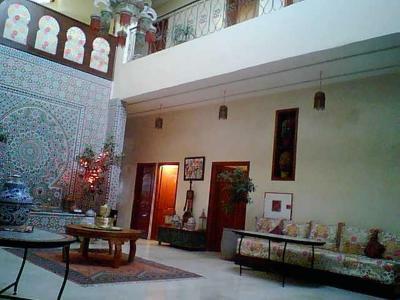 The nearest airport is Fès–Saïs Airport, 5 miles from the property. 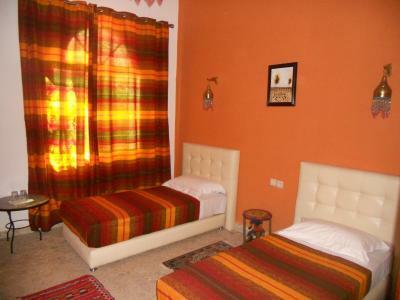 When would you like to stay at Riad Passiflora? House Rules Riad Passiflora takes special requests – add in the next step! 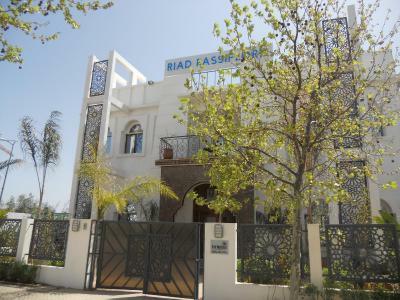 Riad Passiflora accepts these cards and reserves the right to temporarily hold an amount prior to arrival. 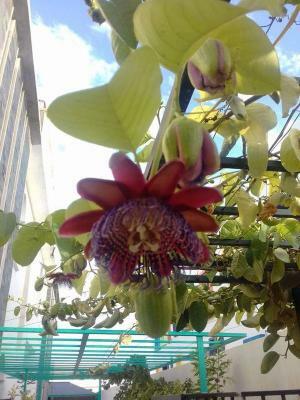 Please inform Riad Passiflora of your expected arrival time in advance. You can use the Special Requests box when booking, or contact the property directly using the contact details in your confirmation. Some rooms are very small. There are no conditions for working in a room at a computer (there are no chairs, only tables that can be moved to the bed). In one room in the bathroom smells unpleasant. However, in others there was no such misadventure. The rooms are very dimly lit. The window into my room was not properly sealed. The temperature was still pleasant though. The dinner was pricey for a mediocre meal so we only ate there one evening. Our room was not made up while we were there (stayed two nights). On returning from the day out, we had to make our own beds. The staff were very friendly and welcoming. A great asset to the business. Room was spacious and comfortable. Lovely pool and outdoor area. 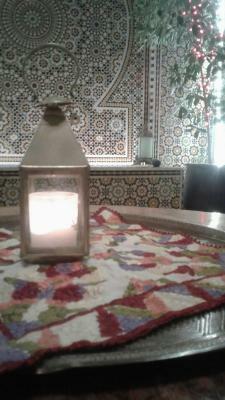 We had a lovely time at Riad Passiflora. The boss and lady Mona are so helpful en kind. The room was clean and cosy. Advice: try the tajine meatballs and tomato for dinner, it is delicious!! 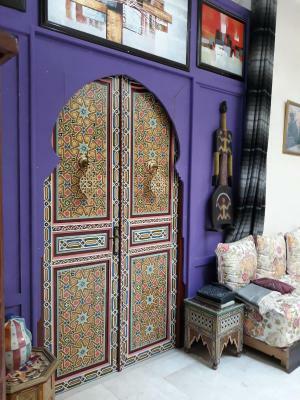 When we will go back to Fez, we definitely go back to Riad Passiflora! 61 Euro is absolutely not ok for a double room far off the city on a heavy travelled road. We chose the hotel due to proximity to the airport. The driver the hotel called wanted 150 MAD (15€) for the 10 minute trip to the airport with no alternatives in the morning at 5:30. To compare: the taxi trip to the hotel which takes like 15 minutes from the medina was 25 MAD (2,50). 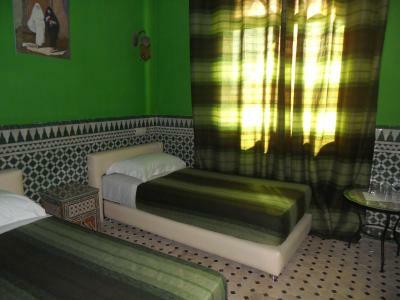 I dont't say this is the hotel's fault, but It would have been cheaper and faster to just stay in the medina. The problem is that the hotel did not offer anything that would warrant the price. The door of the hotel room would not close without locking it. The bathroom smelled like sewer to the point it made us wake up at night. Towels were dirty. The extra blankets were dusty to the point of coughing. The shower was lukewarm and would turn hot only after half an hour of running water. Talked to the staff who stood in my room for 5 minutes and then pointed to the steam saying: 'see, hot?' Next morning showered cold since we did not want to stand up at 4.A.M to get the shower running ;) The tv seems to have been ripped out of the wall. The staff printed out our boarding pass, called Taxi (see below) and served early breakfast at 5. WiFi was stable. No real complaints. The only thing that might have made it better was a stronger internet connection. I love to relax while on vacation, but in this day and age, "posting" our wonderful pictures and memories to our friends on line is an unfortunate must. Our host was so professional and warming. The staff was extremely accommodating. They catered to our every need. 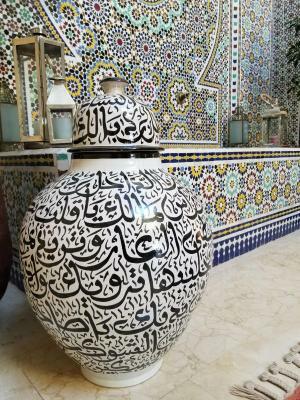 They set up day trips, walks through the Medina and around town. The Moroccan cuisine from the chef was excellent. We all fell in love with mint tea. The overall experience was great! 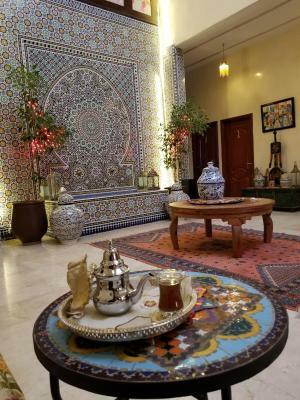 Although the room was warm, the rest of the riad was a little too cold, which made the dining experience a little uncomfortable at first (then the soup warmed us up). The toilet paper got all wet for some reason. I guess this is why it was not hanging at its usual place when we arrived, but in a basket on the sink far away from the toilet bowl. Maybe fix the problem with the toilet, find a better way to put the toilet paper roll closer to the toilet bowl, or put a sign warning the customers not to hang it near the toilet. 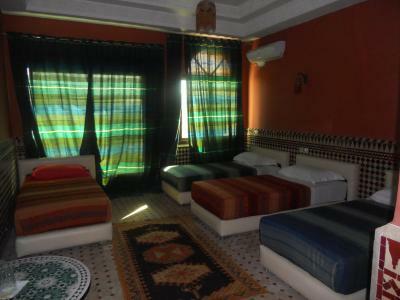 We spent one night at the Riad Passiflora because we had a very early flight out of Fès airport. The shuttle is basically a taxi (which charged us a little more than the normal rate, but the convenience of having someone already waiting for us at the airport, then coming back super early in the morning to pick us back up was a plus). The owner and the staff were extremely courteous and friendly. We had dinner at the property and the food was super yummy. 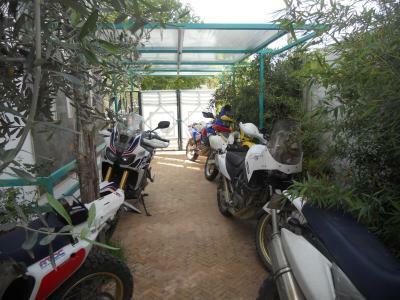 It is a beautiful property, not too far from the airport. 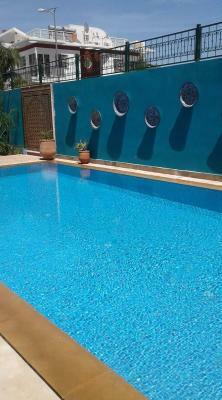 very nice Riad, awesome pool. friendly and helpfull staff, which spoke good english. 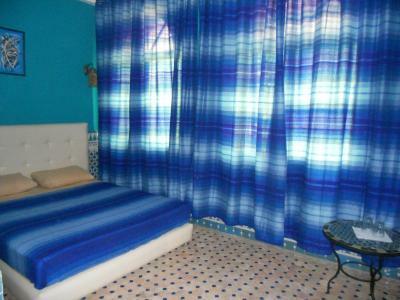 It is very close to the airport, which is super if you have an early flight. we had to leave at 4:00 AM and they prepared for us breakfast bags.